MONTREAL -- SNC-Lavalin says the federal government's softening of anti-corruption rules doesn't go far enough and raises new legal questions. The embattled engineering firm said Monday that Ottawa has addressed some issues by potentially reducing the penalties for companies that have been convicted of offences and are seeking government work. 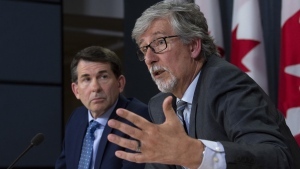 But SNC-Lavalin spokesman Louis-Antoine Paquin said the changes still don't give prosecutors the flexibility to settle with companies that face charges. Under the new procurement rules announced Friday, companies are still barred from government contracts for 10 years if they have been convicted of bribery, money laundering or other offences in the past three years. But that ban can be cut in half if the company co-operates with authorities and takes remedial action. Suppliers will also no longer be automatically ineligible for government work because of the conduct of affiliates unless it can be demonstrated that the supplier had control over the convicted affiliate. However, the government can now suspend a supplier for up to 18 months if it has been charged or admitted guilt to a listed offence. SNC-Lavalin, which along with two of its subsidiaries face one count of fraud and one of corruption over its dealings in Libya, said that measure is troubling. "This raises, among others, issues relating to the presumption of innocence," Paquin said in an email. The Montreal-based company has said it will plead not guilty to the charges but is willing to pay a fine for the alleged transgressions of former employees. The case will be back in court in October. Canada's business lobby has been urging Ottawa to make changes to procurement rules which it said were "out-of-step with Canada's trading partners and affecting investment decisions." Public Works Canada said the new rules are fair, ensure due process and better align with international best practices. Analyst Maxim Sytchev of Dundee Capital Markets says SNC-Lavalin isn't "entirely out of the legal woods" even though the shorter debarment times and improved reinstatement opportunities are good for the company if it is convicted. "It's a slight positive but not a game changer yet," he said. Sytchev believes the likelihood of SNC-Lavalin being debarred in Canada is small, especially when it continues to be awarded multibillion-dollar contracts. 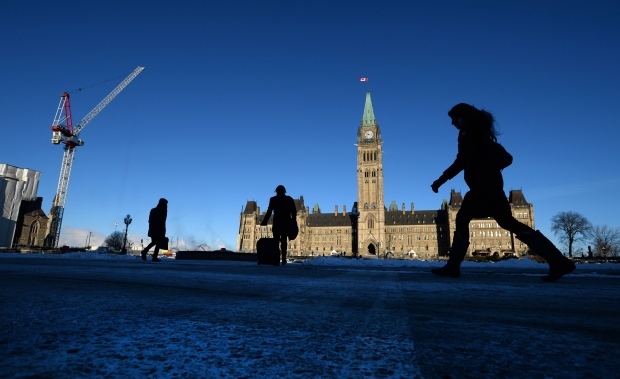 The Canadian Bar Association says some of the government's changes are good but it added that the automatic debarment period of 10 years -- even if the term can be reduced -- raises questions about the rule of law and due process. Spokesman Michael Osborne of the law firm Affleck Greene McMurtry said such a lengthy debarment period can amount to "corporate capital punishment." He said the changes reduce the disincentive for companies to co-operate. "But the fundamental question that needs to be addressed is this another punishment that we are piling on to the punishment imposed by the criminal courts?"